73% and 1 Week of Support Raising Left! Support raising has been a good experience of learning to trust God better and learning to be at the mercy of others, but I am SO READY for my internship to start. By God’s grace, and the generosity of several friends, I am at 73% of my budget. However, in order to start on September 5th, I need to be at 100%. So I need to raise another $730 per month. It’s so close I can smell it! I’m praying that we can reach that goal by the end of the week! 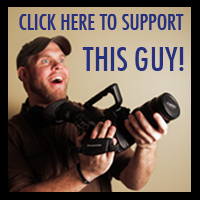 If I haven’t contacted you about supporting me yet, but you would consider it, please click on the link to the right. Thank you so much!